Leaf Ring Only $1.99 + FREE Shipping! You are here: Home / Great Deals / Amazon Deals / Leaf Ring Only $1.99 + FREE Shipping! How pretty is this ring?! 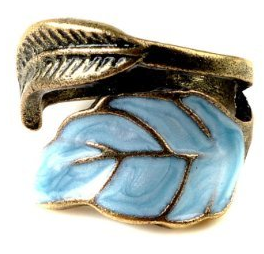 Right now, you can get this fabulous Leaf Ring for just $1.99 + FREE shipping! I love this ring – it’s the perfect accent to any outfit, and it’s great to treat yourself to without any guilt! It would also make a great gift for someone!